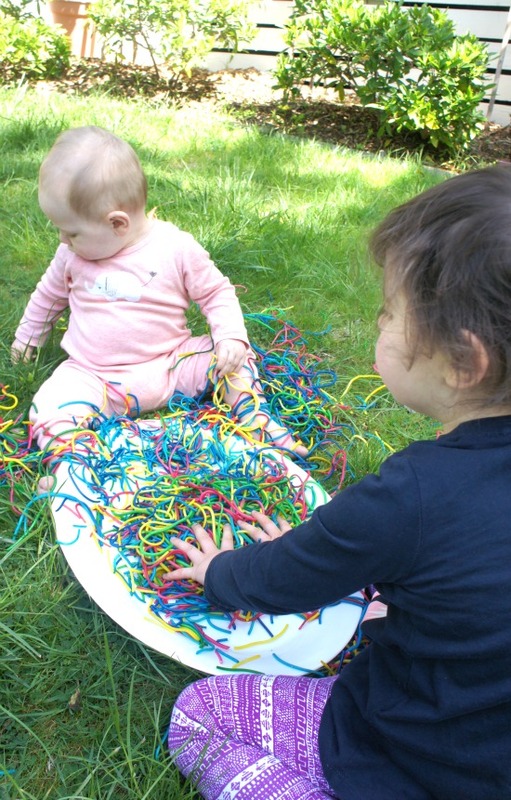 Playing with rainbow coloured spaghetti is a very simple play idea that children of all ages enjoy. 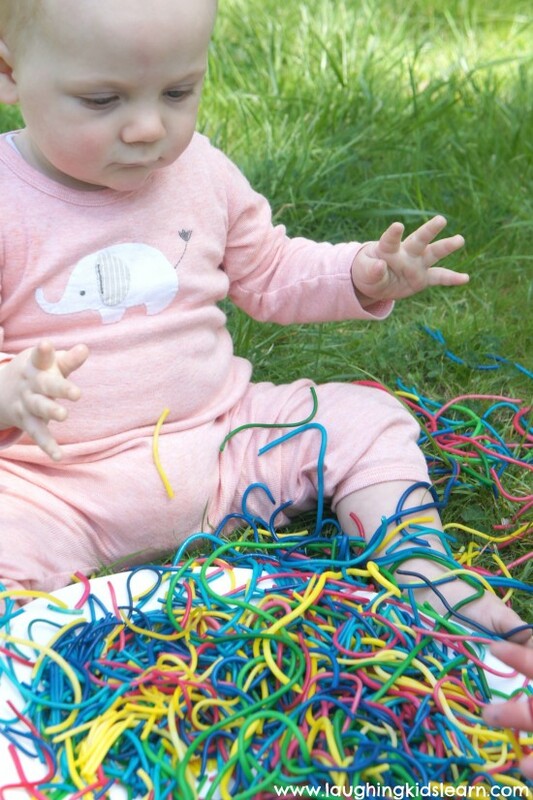 The cool, colourful stringy strands are almost irresistible, even to adults. 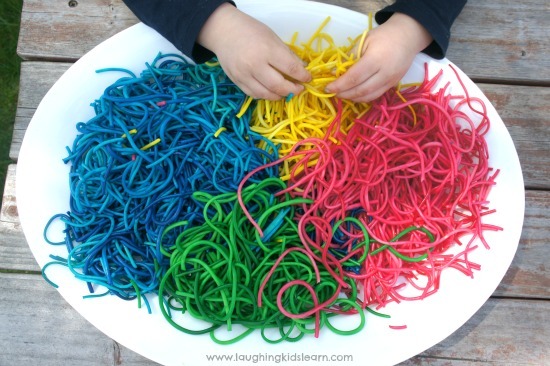 By simply cooking and colouring spaghetti children are treated to a wonderful sensory experience that is hard to compare to any other and it’s amazing the different ways you can play with it too. 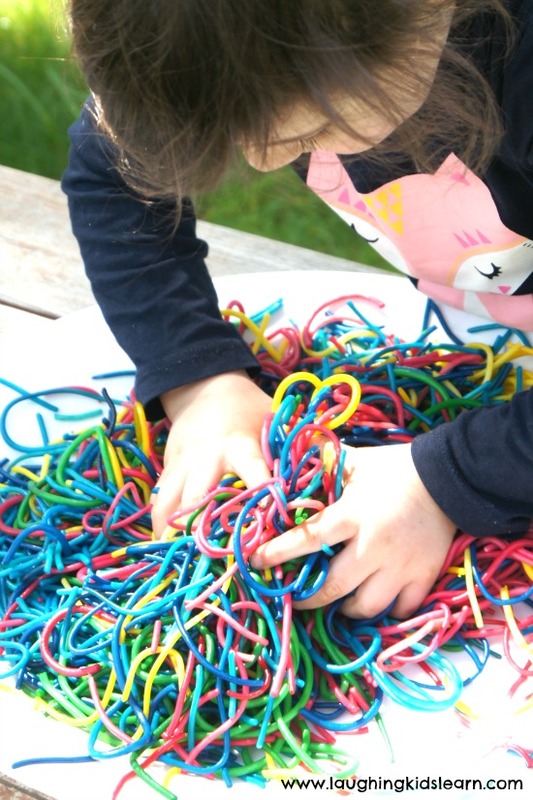 You might remember a number of years ago I did this spaghetti play activity with Possum (now 3.5 years). She absolutely loved it and so I was really excited to do it again, but also include Boo (10 months), who loved it probably just as much! 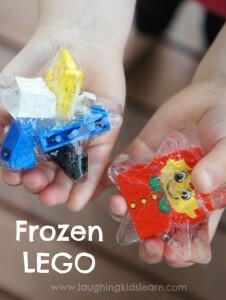 This really is an activity that all age groups can enjoy. So the first step is to colour the pasta, which you can find my instructions here. 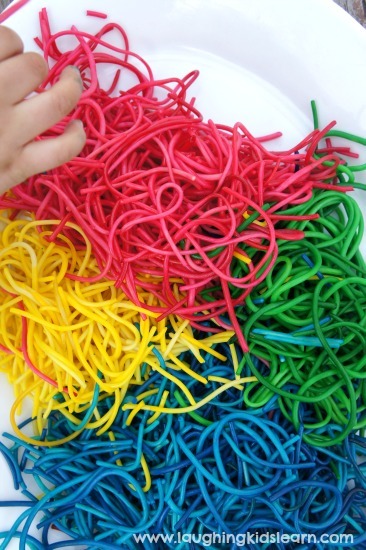 I just love the vibrancy of these spaghetti strands. 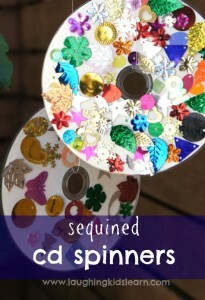 Such a great way to talk and learn more about colours! 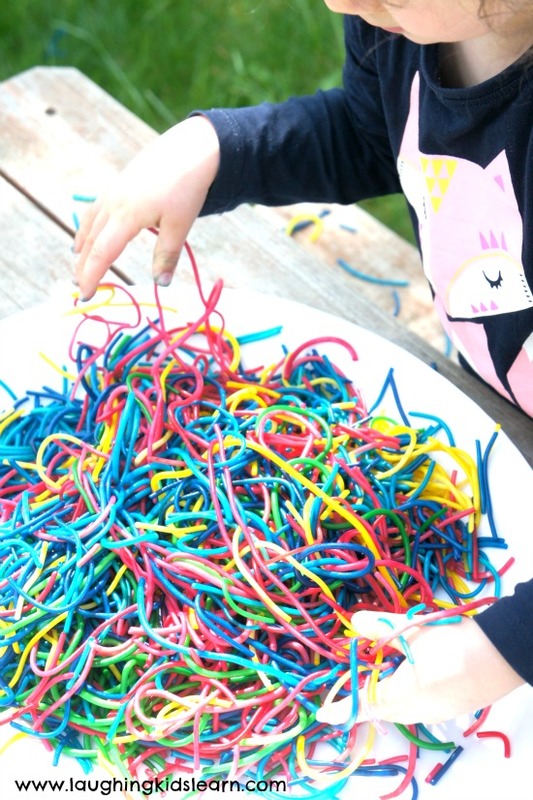 Possum, who can occasionally hesitate to engage in similar sensory type activities, loved the challenge of trying to mix up all the colourful spaghetti strands. She couldn’t get enough of it and loved burring her fingers in as much as she could! 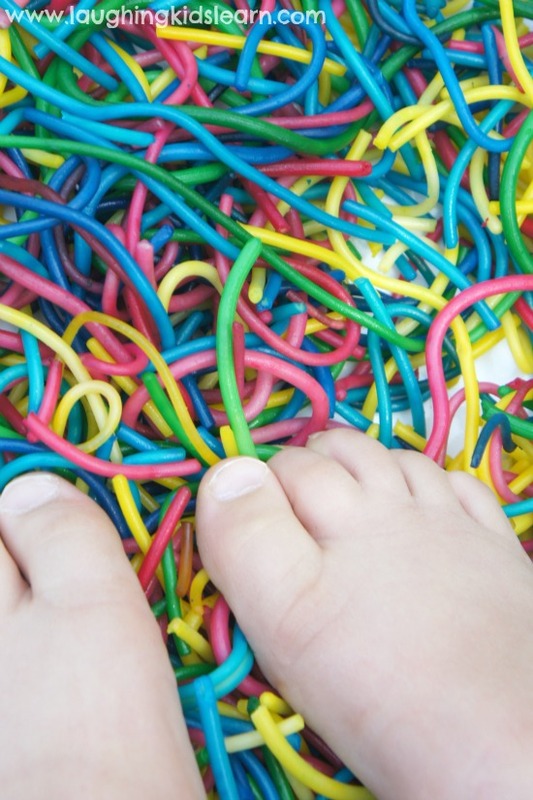 Don’t forget feet during sensory play! Before I knew it, feet were involved and squishing the strands of spaghetti. So often do we forget that feet are important in sensory exploration too. So next time you have your child engaging in a sensory related activity, get their shoes and socks off and see if they’ll dig their feet in. Wonderful! Possum gave herself the challenge of tying the strands of spaghetti into knots. It was a difficult challenge but one worth attempting. 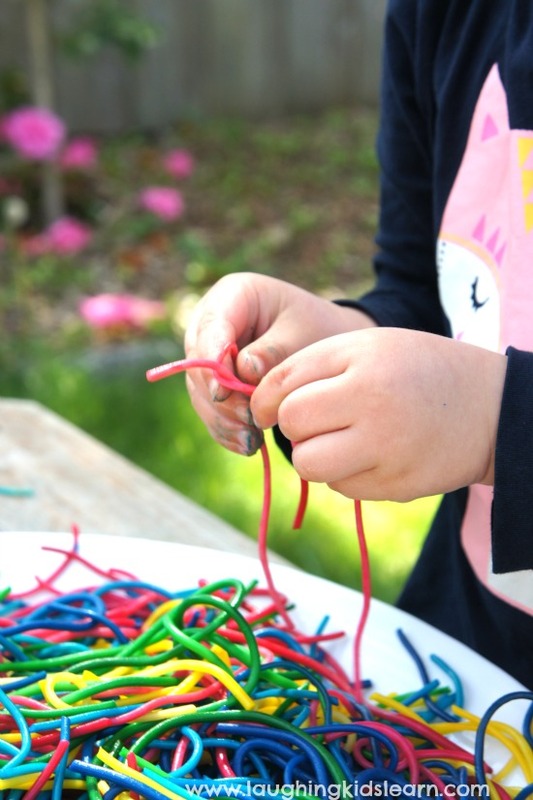 You could also add some tongs or similar to help children develop their fine motor skills. 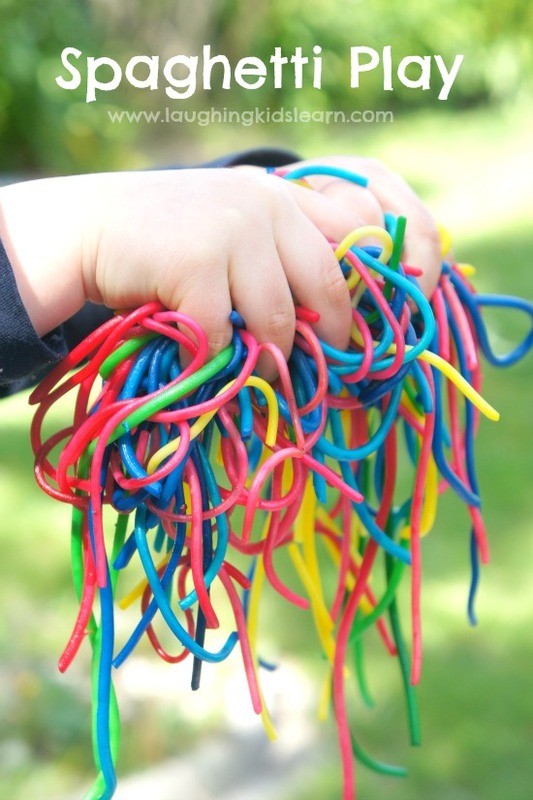 Sorting the different coloured strands would make a great (and time consuming) challenge I’m sure kids would enjoy. I’m disappointed I didn’t get a good picture of this for you guys…. 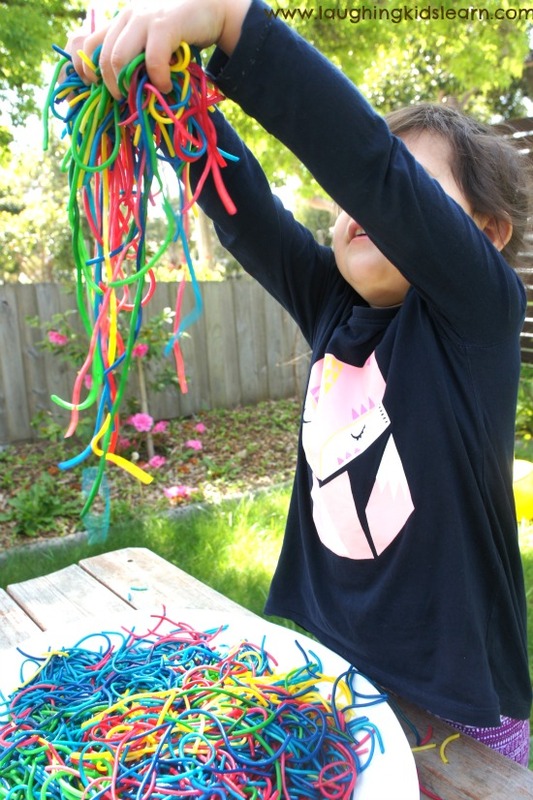 Possum came up with the idea of making pictures with the different coloured strands of spaghetti. 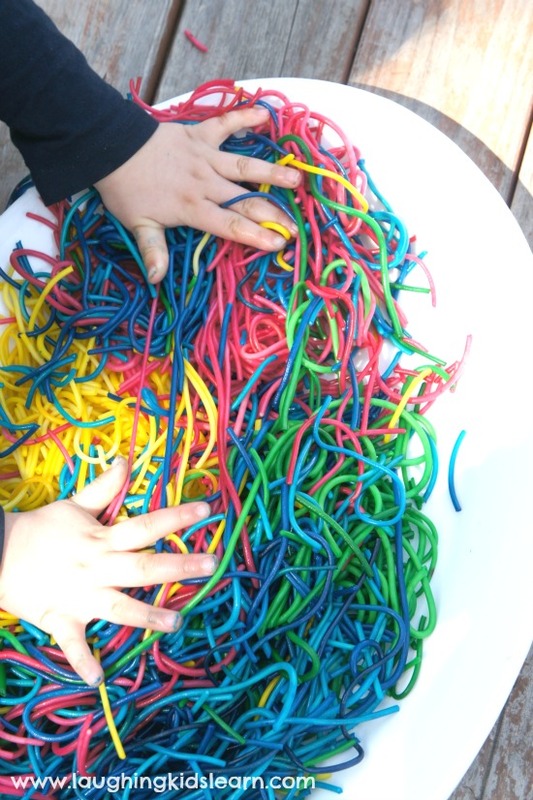 Of course children don’t have to stick to the colours they know things to be, however, Possum made a picture using green spaghetti for the grass, blue for the sky, yellow sun and a red house. Brilliant! Boo (10 months) was incredibly eager to be involved in the play too. 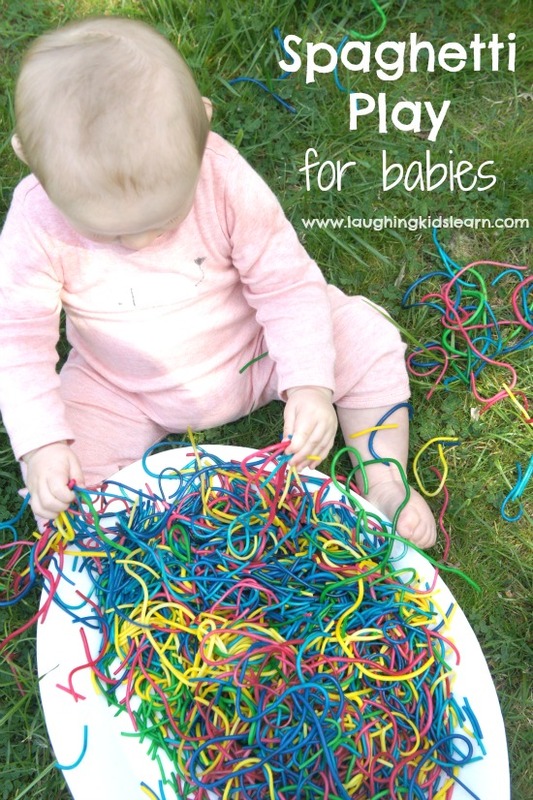 This is such a fabulous sensory activity for babies because it is quite safe for them to taste and wonderful for them to get their little fingers in and explore. 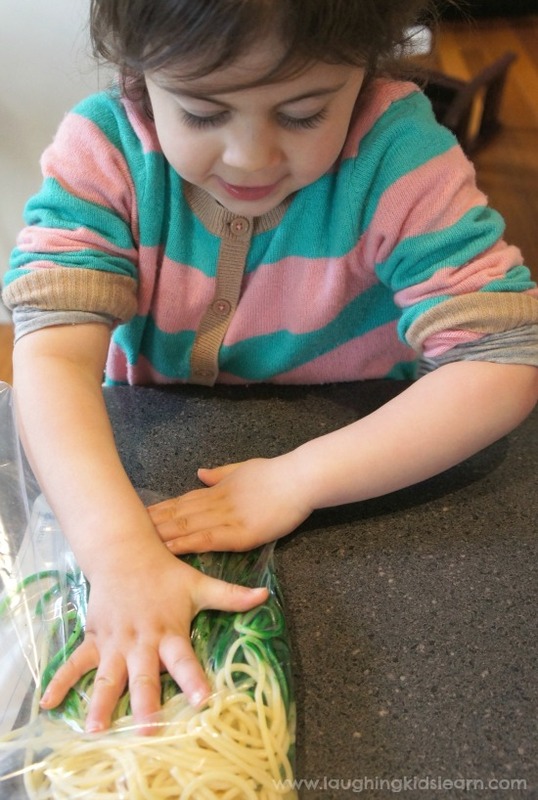 Would your child enjoy getting their hands into cooked spaghetti? Oh Madeleine, thank you so kindly for your lovely comments. I very much appreciate that.